Some things are good clear. Water, windows. Some things not so much. Wonder Woman’s plane comes to mind as well as this clear iPod touch 2G case. 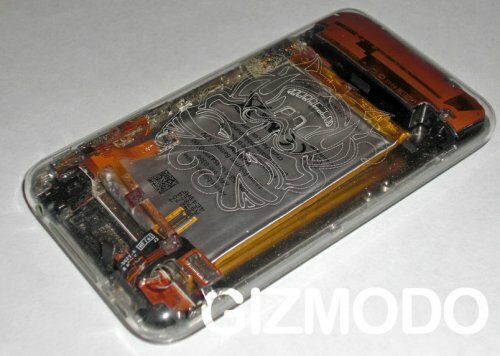 We don’t have a problem with clear cases, but the guts inside have to look cool, otherwise what’s the point? You’re either gonna love it or hate it. Yes, it’s missing the camera and some other stuff. The case is manufactured by a company in Russia. It’s not a bad idea as you will definitely want to stand out from the rest of the black iPod using world, but damn the inside of an iPod is fugly. You tell us. Would you rather have this clear job or a plain old iPod? Some gals just look better with their clothes on.